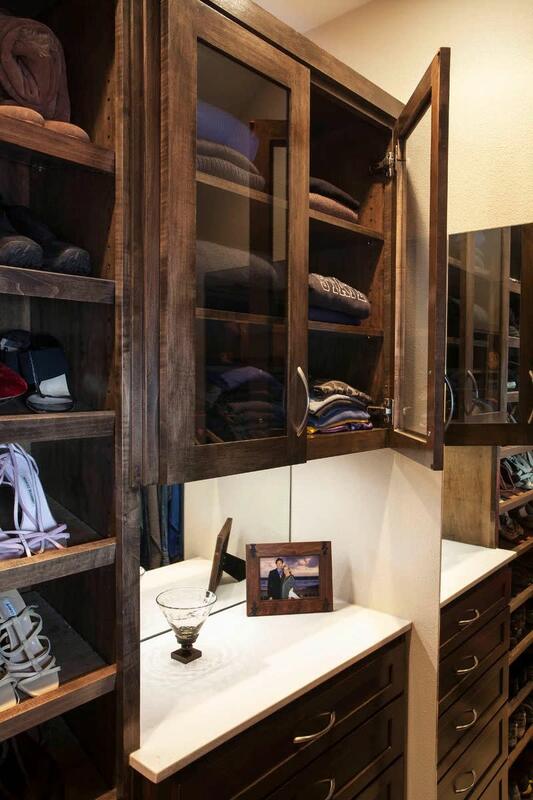 This couple had a very long and narrow space within which to build their custom closet. 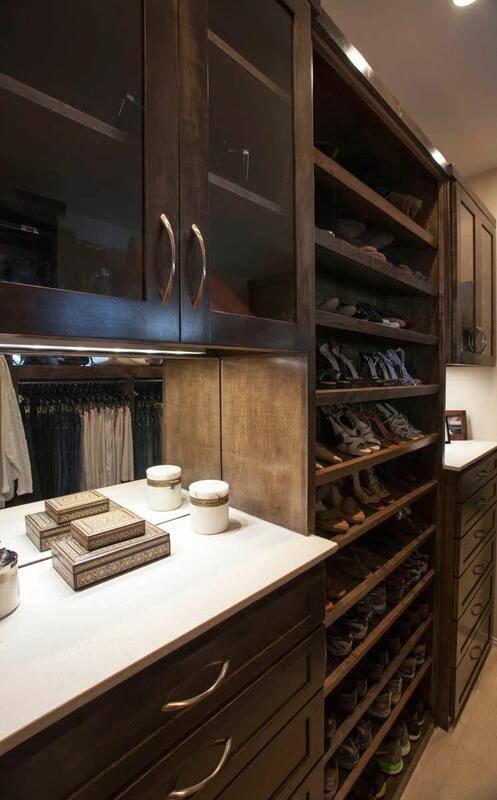 Tall dressers, glass-enclosed upper cabinets and lower full-extension pull out drawers were installed to maximize and add more storage space. A full-length mirror at the end enlarges the room. 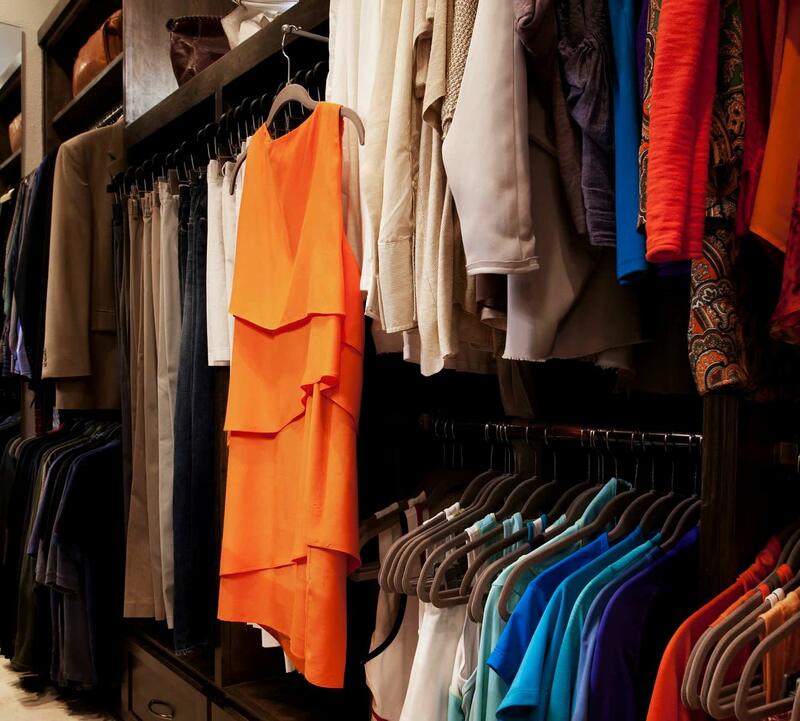 The Couture Closet designs and installs custom made closets in Plano, Dallas and throughout DFW. 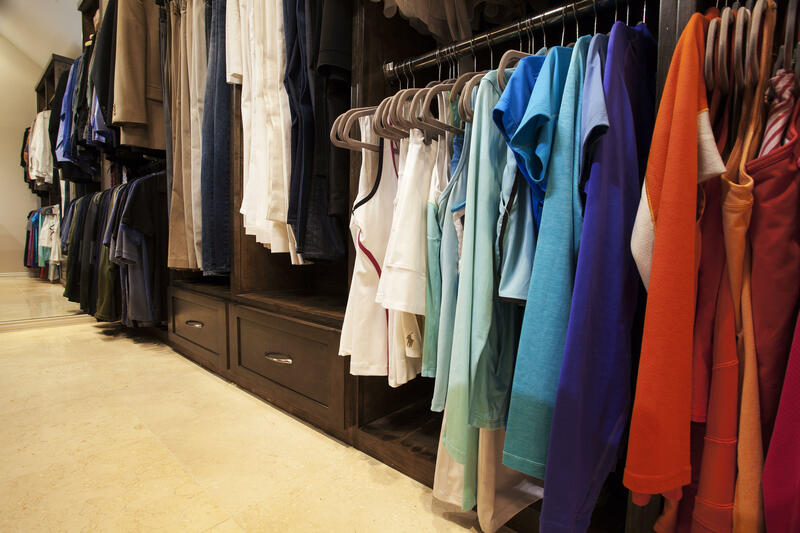 By redesigning our closet, we were able to get so much more hanging and storage space. 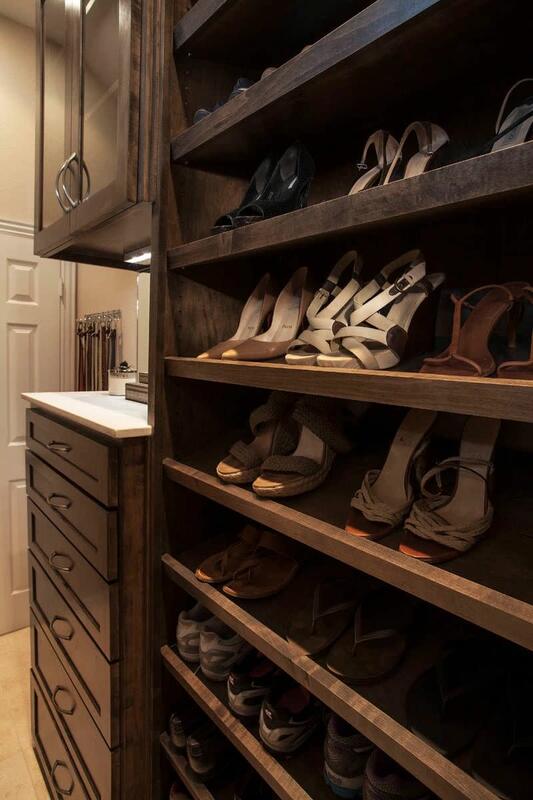 Kathleen created such an elegant and functional closet!